Dolores has a perfect life: nice husband, home, two children. They are both teachers and their lives seem ideal only until husband Lawrence is accused of being a sexual predator - and then everything changes. Gag Rule is about this process and these changes, and focuses on how Dolores' world is turned upside down. Based on real-life circumstances (which have been fictionalized here), Gag Rule comes across as riveting and engrossing perhaps because of these foundations in reality, which discuss silences either self-imposed or dictated by the outside world. As events progress, Dolores finds more than her perception of her husband and their lives in jeopardy. 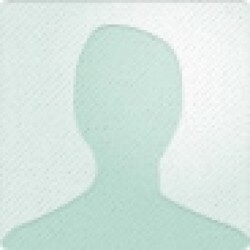 Also at issue is who she has become in the course of a satisfied marriage that has seemed a dream come true. It should be mentioned that there's no surprise about the outcome of Lawrence's guilt or innocence. This is provided in the very first chapter, which should indicate that the actual process is not really about Lawrence's actions, but their impact on his wife. It's also about Dolores' choices, which have framed (and too often limited) not just her role in their relationship, but her entire personality. Many of these psychological insights are set up in that initial chapter, but its how Dolores works through the tumultuous processes of change in her life that really makes Gag Rule shine. Dreyfus is at his best when depicting the stark contrasts of this seemingly-idyllic life. Under his hand, Gag Rule becomes not a novel of legal process, as might be anticipated; but a story of how marital experiences diverge and how narcissism leads to disaster on all sides. It's not just about guilt or innocence: it's about the psychology of unraveling and rebirth. 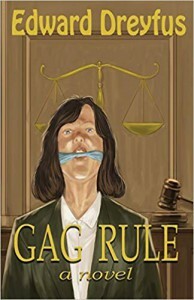 Gag Rule is driven by change and self-realization and is a powerful recommendation for readers who would move beyond the prospect of a sexual predator in a marriage to examine the underlying influences and subtle cycles of abuse.